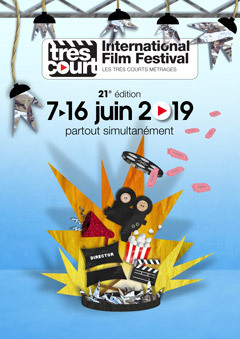 The main program of the Très Court International Film Festival: the first part of the 36 films of less than 4 minutes representing the best and especially the shortest of the global audiovisual year's production. The main program of the Très Court International Film Festival: the last part of the 36 films of less than 4 minutes representing the best and especially the shortest of the global audiovisual year's production. Presents French or French-speaking projects, which highlight French culture and current events.